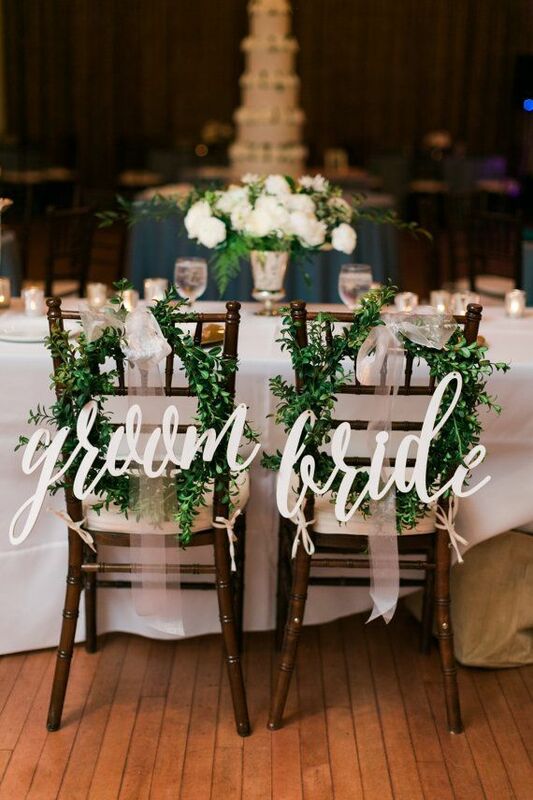 BRIDE & GROOM – wedding chair signs These beautiful calligraphy bride & groom signs are an adorable accessory to hang on the chair backs of the wedded couple! They are light-weight, precision cut, and available in an array of colors to compliment your wedding. . . . . . . . . . . . . . . .